Finally seeing Prambanan was like a rollercoaster ride for me. For lack of a better description, I felt giddy. I felt like a teenager who was looking at a boy she really liked and secretly wished to be with. Yes, it is kind of embarrassing but that was how it made me feel. I had knots in my stomach and I was just in awe. I have simply fallen in love with this place. And like a forlorn lover who cannot and wish not to be parted with her mate, I will keep coming back to this place. For those who are not very familiar with the temple grounds, Prambanan is located in Yogyakarta, once Indonesia’s capital city. 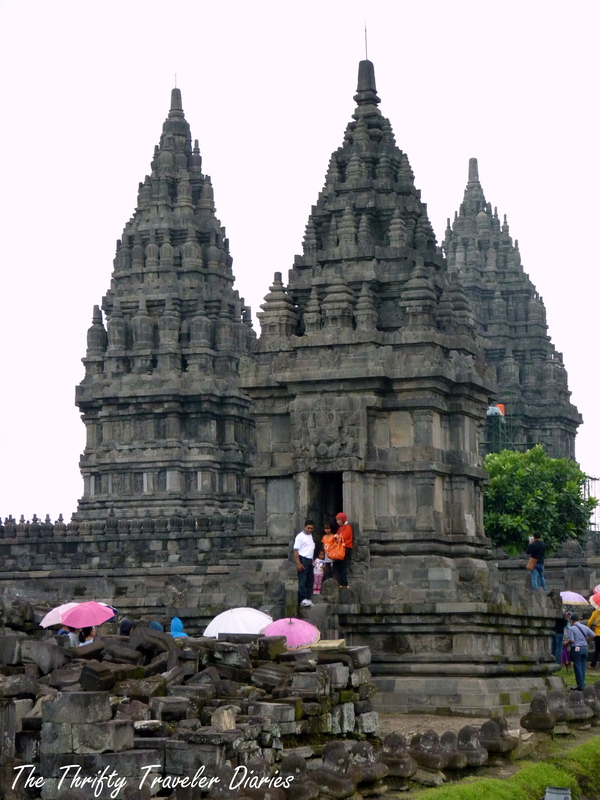 The complex consists of 240 temples which illustrate the epic tale of Ramayana. The temple grounds were built in the 10th century and are dedicated to the three Hindu gods; Brahma, Shiva and Vishnu, as well as the animals who served them. 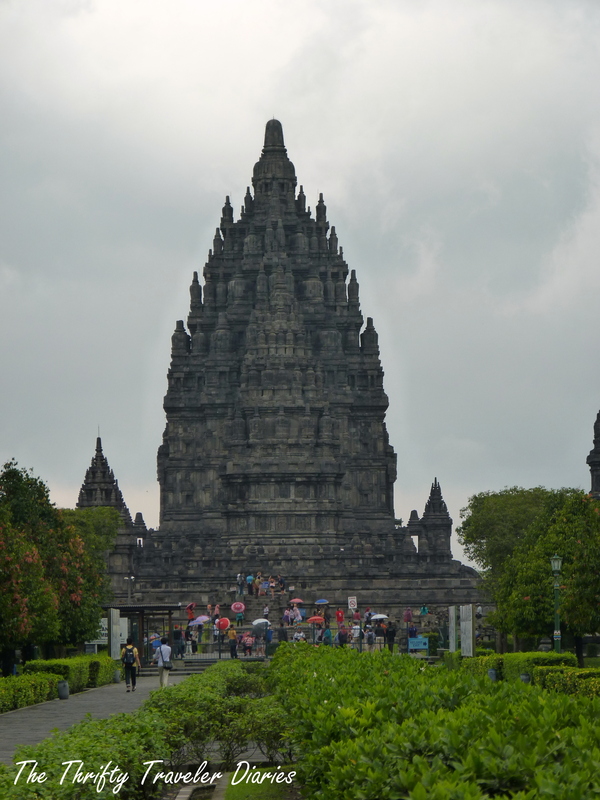 There are four main temples in the grounds; namely, Prambanan Temple or Loro Jonggrang, Bubrah Temple, Lumbung Temple, and Sewu Temple. 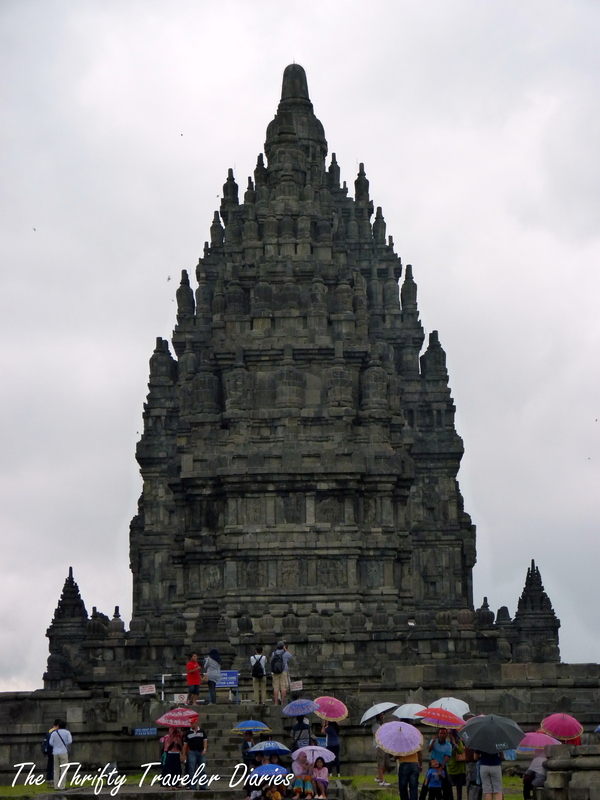 All the temples in the grounds were built during the heyday of the powerful dynasty of Sailendra. The temples collapsed due to volcanic eruption, earthquake and a shift in political power in the early 11th century. The grounds were rediscovered in the 17th century. Restoration works have been going on since 1918 and great care has been taken to retain the authenticity of the structures. Prambanan might not have the grandeur, popularity and appeal of Angkor Wat or Borobudur but it has a charm all its own. I had the notion that it was just the poor man’s version of Angkor Wat and was I proven very wrong! I was immediately drawn to the temples the moment I saw them! It is one of the most magnificent temples built in Southeast Asia. Other people might not see the temple my way, but to each his own. I only have one regret when I visited Yogyakarta and that is the fact that we were not able to get up close to Borobudur and Prambanan. The recent eruption of Mt. Kelud covered the temples with ash and much of the area was closed for cleaning. Although I did not reach the pinnacle of Borobudur or get close to the temples in Prambanan, the trip was still worth it. I miss the place and I am already planning another trip to Yogyakarta. Does this place remind you of Angkor Wat? It does but in a strange way it also does not. For me personally Prambanan is more beautiful than Angkor Wat. It also happens to be older although both are Hindu temples. I did but perhaps it is because we were only able to go op to level 2 of Borobudur. It was closed because they were cleaning the ash from the recent eruption. Such a shame, I hope you can go back one day to reach the pinnacle and maybe see the sunrise. Prambanan was ok, but not as grandiose if you do Borobudur first. Yeah I will be going to Yogyakarta again perhaps on May. Hopefully the weather will be very good. I want to reach the pinnacle and see the Buddha and the stupa.